306 Tailwater Bend – 4 bedrooms, 3.5 baths, 3,611 sq. ft.
645 Tailwater Bend – 4 bedrooms, 3.5 baths, 2970 sq. ft. 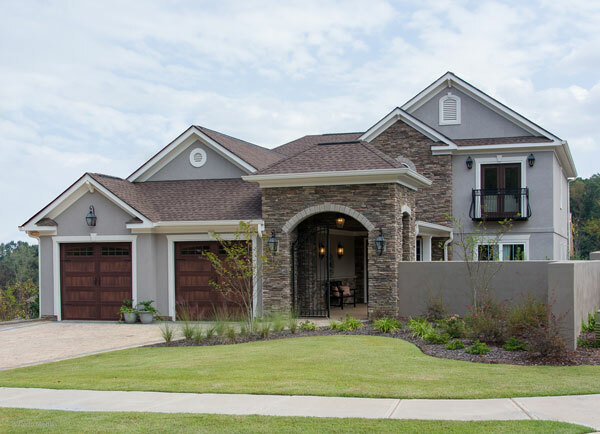 The Woodlands District is Saluda River Club’s newest neighborhood and is renowned for introducing ‘New Carolina Living’ to the South – a whole new style of living, inspired by nature and built for comfort. All homes in the Woodlands District are designed to bring in the great outdoors and blend the beautiful surroundings with the homes’ indoor spaces – in an effortless, delightful way. Saluda River Club opened the Woodlands District in 2013, in addition to its two original neighborhoods, The River District and The Village District. The neighborhood’s elegant homes feature timeless architectural details in combination with innovative designs and floor plans, as well as beautifully detailed and expansive kitchens, perfect for entertaining. The Woodlands District, one of three distinct districts within Saluda River Club, offers privacy in a magnificent natural setting, miles of nature trails and mini-parks, plus full access to all shared amenities at Saluda River Club including the Village Clubhouse for adults, the Chickawa Club and Outdoor Center for all ages, and the River Launch for kayaking, canoeing and fishing. To learn more about these new homes in the Woodlands District that are available for immediate move-in and other homes at Saluda River Club, please schedule a visit soon. For more information or directions, please call 803-358-3969 or visit www.saludariverclub.com.